Oil prices have now nearly doubled since the beginning of the year, and that’s refueling huge and risky interest in Norway’s offshore portions of the Arctic. While seafood producers voluntarily struck a deal this week to protect Arctic waters, oil companies are pumping up their plans for oil drilling and extraction, even as yet another expert claims they’ll be drilling much too close to the ice. The price for a barrel of Norway’s North Sea crude topped USD 50 this week, up from USD 27 in January and greatly cheering oil companies like Lundin and Statoil. Both were among those winning controversial licenses last week in areas of the Barents of Sea that haven’t been opened for oil exploration yet, and Lundin’s exploration chief now has extra reason to smile. “This is what we’ve had faith in, it’s why we’re exploring,” Halvor Jahre of Lundin told newspaper Dagens Næringsliv (DN) on Friday. Lundin and other oil industry veterans have never believed in the “crisis” mood around the dive in oil prices, claiming the business has simply been caught in a classic cycle and that oil prices are now moving back up again. At the same time, the steep and sudden reduction in oil prices has forced oil and oil service firms to cut costs, leaving them leaner and keener to dive back into the Barents themselves. “During the last 12-18 months we’ve seen very encouraging (lower) cost levels in the Barents, especially around (oil fields) Johan Castberg, but also Alta, Gotha and Wisting are well on the way,” John A Olaisen, an analyst at ABG Sundal Collier, told DN. Last year he was advising companies to shelve their plans for the Barents. Not any longer. Not everyone is so bullish. Oil analyst Thina M Saltvedt at Nordea Markets thinks profiability in the Barents will hinge on the demand for oil after 2030, when more alternative energy sources are expected to be available. Norwegian industrialist and investor Jens Ulltveit-Moe has claimed that drilling in the Barents will result in major losses, and he also has voiced serious environmental concerns. 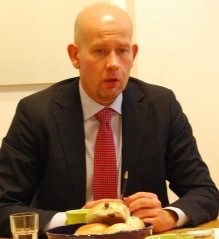 Norwegian Oil Minister Tord Lien, who’s been arguably the most bullish on renewed oil exploration and production activity on the Norwegian Continental Shelf, because of the jobs and wealth it can create, responded in DN on Thursday by calling such views “not serious,” and wondering how much money Ulltveit-Moe has lost on his alternative energy projects. “I haven’t had an answer to that yet” Lien said. Even though oil investments are projected to remain low this year and next, falling by 30 percent from a peak in 2014, they will still be higher in 2017 than they were in 2011, state statistics bureau SSB pointed out this week. Barents expansion will clearly boost investments after that, if new projects tied to the Arctic licenses get underway. The future of the pristine Arctic is at stake, claim the skeptics. Several major seafood and fishing interests struck a deal this week to protect the waters around Svalbard (external link to the Independent Barents Observer) from cod trawlers and over-fishing. Many wish the oil industry would show similar restraint in exploiting the sensitive Arctic, not least several of Norway’s leading climate researchers. They claim the Norwegian government is still allowing oil drilling much too close to the ice, and that the ice itself is moving constantly, as temperatures in the waters continue to rise. DN reported earlier this week that even though the ice has drifted northwards because of warmer seas, prompting Norway’s conservative to open up the new areas of the Barents to drilling after a delay, it can move southwards again. 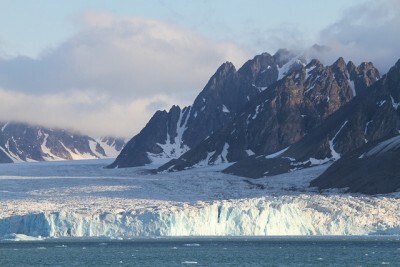 “Today’s (ice) border is not representative,” said Lars Henrik Smedsrud, a professor and climate researcher at the Nordic area’s largest climate research center, Bjerknessenteret in Bergen. He told DN that today’s ice edge goes “too far to the north,” and must be set father south. “The ice edge will moves southwards again,” he said. “We don’t know when, but it is highly improbable that won’t happen.” Smedsrud noted that in 1861, the polar ice extended as far south as the coast off Norway’s northernmost county of Finnmark. The area where drilling is now being allowed is also especially sensitive, experts have claimed, because it’s an important nursery for fish and other sea life. Smedsrud claims the Norwegian government has used a 30-year perspective for the ice, claiming it’s “extremely stupid” to use anything shorter than 80 years. He and his colleague Ingrid Onarheim, who’s writing her doctoral thesis on ice in the Barents Sea, have studied data over changes in the ice since 1850. “The ice edge can cross the updated border that the government has set, and come close to the oil fields,” Onarheim told DN. Smedsrud said it was “frustrating” that their information isn’t affecting the decisions made by politicians like Lien. Efforts are underway to block or at least delay all the new oil activity. Around 200 academic, artistic and legal experts have been preparing a lawsuit against the government to be filed if and when oil drilling and production proceeds. They claim it violates Norway’s constitution, which gives Norwegians “the right to a liveable climate” and which they claim will be infringed under the current plans.